Every new year we plan to become more organized and reactive about health, daily expenses, daily schedule, short and long term goals, daily / weekly activities etc. To manage time we certainly need planners so we can update them regularly and priorities the most important things. Everyone needs planners for time management to be more efficient and productive in our life. 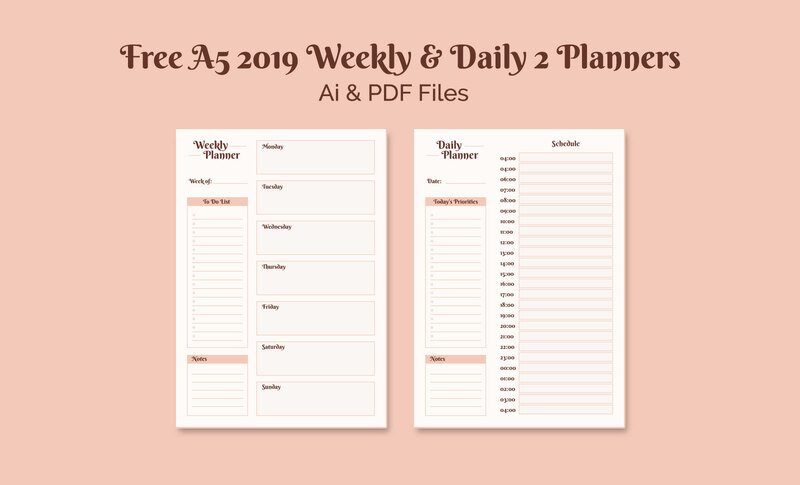 Today, i have designed monthly, weekly and daily planners for everyone of you out there. 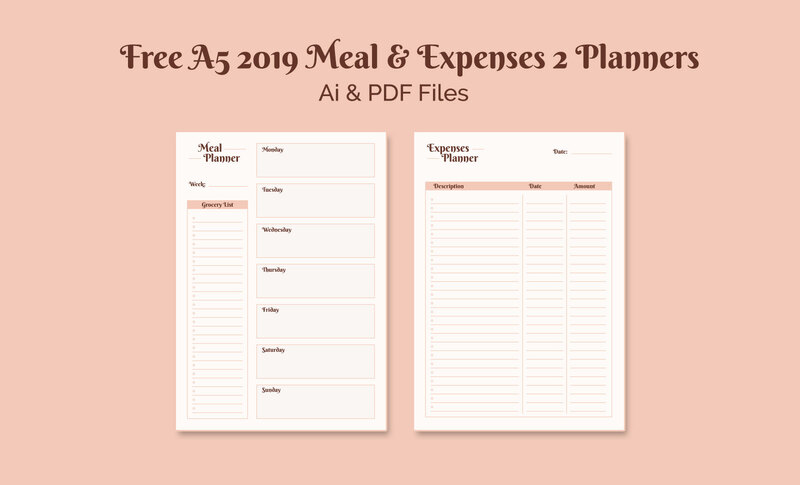 I have also designed planner for meal management, daily grocery details, daily expense to know where money goes. This post is divided into three different downloads. 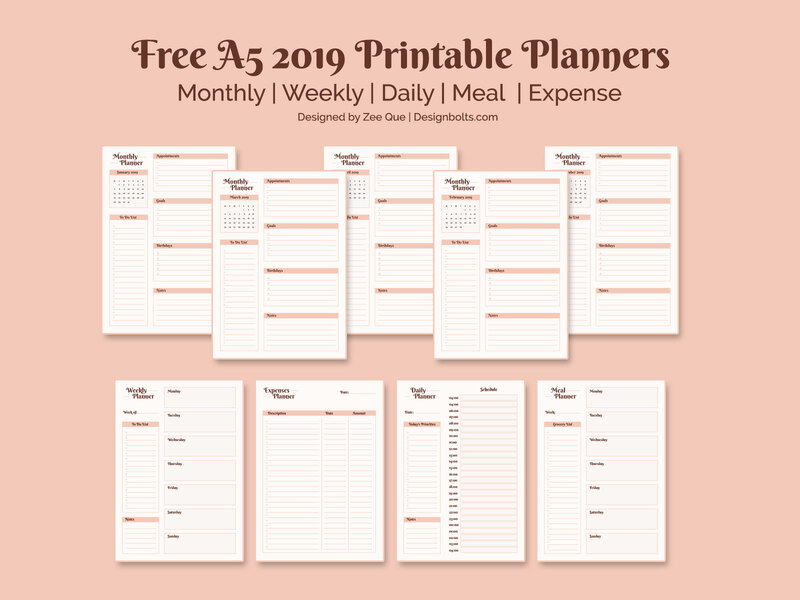 First one is monthly planner design templates include 2019 calendar, to do list, appointments, daily weekly or monthly goals, birthdays of closer ones in that specific month and important notes. 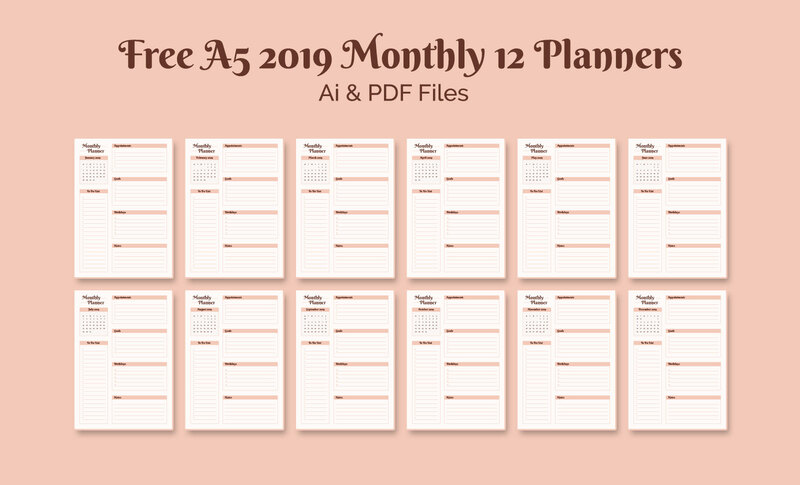 You can print out monthly planner as many times as you need then compile them in a ring binder file. Second one compiles with weekly planner and daily planner where you can write all important and upcoming assignments. Daily schedule chart is much more precise where you can organize time hourly. If you are working in very strict task based office environment then this daily planner is a must have. Third one is composed with two layouts one for daily meal management as well as grocery list for everyday use. There is an expense planner attached to let yourself more aware where all the money goes. Hopefully, you will get advantage of this freebie. All files are available in vector Ai format as well as pdf format. You can even print them out on A4 size sheet as they are vectors and can be scaled up to any size.